Monster Energy Drinks can increase energy levels and prevent fatigue. The recommended serving size for a Monster Energy Drink is 8 ounces. When buying any energy drink, make sure to read the label to determine the calories and other nutrition information. A can of Monster Energy Drink is typically 16 ounces and contains 220 calories. One serving, or half the can, contains 110 calories. 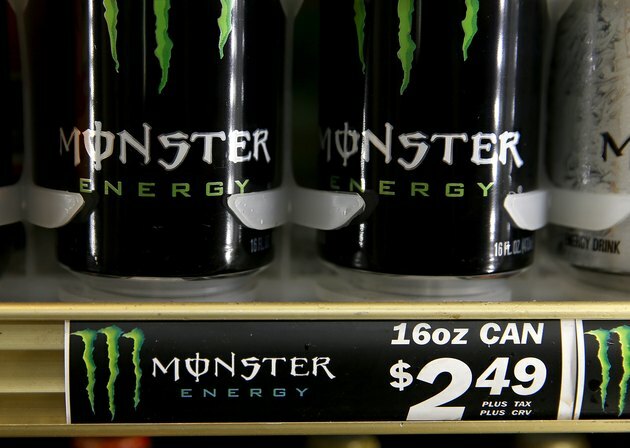 One can of Monster Energy Drink contains 54 grams of sugar, or more than 13 teaspoons. Also, the beverage contains 360 milligrams of sodium, which is about one-fourth of the recommended daily amount, according to the American Heart Association. Each can contains about 160 milligrams of caffeine, which equals a cup of coffee. Monster Energy Drinks are also rich in B vitamins, with an 8-ounce serving providing 100 percent of the daily value of vitamins B2, B3, B-6 and B-12, based on a 2,000-calorie diet. Forbes: We Know About Caffeine in Energy Drinks Like Monster, But What About the Other Ingredients?